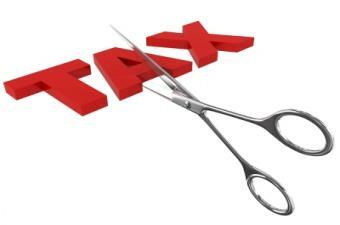 Struggling homeowners who are considering a short sale or modification will be eligible for tax relief in 2013. The “fiscal cliff bill” passed by Congress on January 1 included a provision to exclude borrowers from paying taxes on debt forgiven through a short sale, foreclosure, or loan modification. Known as Mortgage Debt Relief Act of 2007, the act was scheduled to expire December 31, 2012, but received an extension for another year. Industry experts and political leaders from all sides expressed support for the act’s extension. In November, 41 state attorneys general wrote a letter urging U.S. House and Senate leaders to extend the act, arguing the act’s expiration would take away from the effectiveness of the national mortgage servicing settlement. Through the settlement, state and federal officials reached an agreement with five of the largest servicers over “foreclosure abuses.” The settlement requires the servicers to provide $20 billion in consumer relief to struggling homeowners. As of September 30, a report from settlement monitor Joseph Smith found servicers provided 21,833 borrowers with $2.55 billion in relief through first lien principal reduction modifications, which averages to about $116,929 in debt forgiveness for each borrower. If the act did not receive an extension, borrowers who received relief in the form of forgiven debt would be liable to pay taxes on the debt. The Center for Responsible Lending and the Financial Services Roundtable also wrote letters asking Congress to extend the act.